Our whole intention is focused on the learner, for their care and their benefit. There is no other fund quite like this. Other organizations focus on putting our youth through tertiary education, but this is not possible unless there is a supply of capable students to start with! Our areas of operation are the Free State, Western, Eastern and Northern Cape. Bursaries only cover course fees and registration. Your average mark (all subjects) is 50% or above. The school fees are R4500 or less per year. The total monthly household income does not exceed R7500. You live & attend school in the Free State, Western, Eastern or Northern Cape. These courses are shorter, less expensive and very effective in leading to employment. The African Scholars’ Fund supports scholars who are registered for Business and Engineering studies at Public TVET Colleges. Our areas of operation are the Eastern Cape [PE and Eastcape Midlands College] and the Western Cape [College of Cape Town and Northlink College]. Bursaries are offered for full-time studies only. Should your application be successful, we will pay your registration and full course fees. 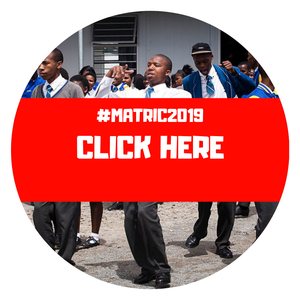 You must present your matric certificate and/or current college results. Your average mark (all subjects) must be 50% or above. You must be 25 years or younger when applying. You must not be in receipt of any other bursaries (including NSFAS). 31 July for 3rd trimester.